Modern literature still creates vivid and interesting stories but this author believes something has been lost over the years within the depths of the novel. Authors such as James Patterson and Patricia Cornwell cannot seem to create the same in depth beautiful literary ideas of that of a William Faulkner or Ernest Hemingway produced which won them the Nobel Prize for "their powerful and artistically unique contribution to literature." 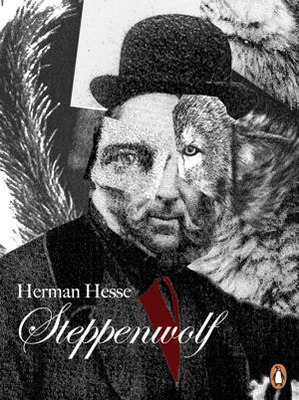 One novel this author would like to recommend to the public is Hermann Hesse's novel Steppenwolf, published in 1927. The modern classic depicts the life of Harry Haller, a depressed individual who often contemplates suicide because of his hate and contempt for society whilst living in war stricken Germany. He refers to himself as 'wolf of the steppes' which is where the name of the novel comes from as he believes there is a human and wolf form within himself. Here is a portion of the synopsis from the publisher Penguin, "A Faust-like and magical story of the humanization of a middle aged misanthrope was described in The New York Times as a 'savage indictment of bourgeois society.' "
The novel dives into the depths of human hypocrisy as the story encourages the audience to look at themselves in the mirror and the society we live in, which is still filled with corruption and war as countries are still sending the young blood of their nation to die in senseless wars due to nationalist sentiments with the undertone of corrupt political and military leaders. A powerful quote in the novel gives the audience a taste of what the point is that Hesse is trying to get across. "It would be better for this country and the world in general, if at least the few people who were capable of thought stood for reason and the love of peace instead of heading wildly with a blind obsession for a new war." It is coming up on 84 years since Steppenwolf was published and the words of Hermann Hesse are still very relevant in modern society. Winner of the Nobel Prize in literature, Steppenwolf is a fantastic read and a far cry from the modern day novels. Praise for Steppenwolf:"A profoundly memorable and affecting novel" - New York Times. The story appears to one that is well worth reading on a cold, wet, afternoon.